The death of two people in a North Point Douglas rooming-house fire has renewed attention on how often the dwellings are inspected. The death of two people in a North Point Douglas rooming house fire has renewed attention on how often the dwellings are inspected. The head of Winnipeg's firefighters union said he's concerned the city does not employ enough fire inspectors to make annual visits to all of the known rooming houses. Two city councillors, meanwhile, want rooming houses inspected every year for general liveability. The fatalities occurred early Thursday morning in a licensed rooming house on Austin Street North. The Winnipeg Fire Paramedic Service conducted a full inspection of the property in November 2013 and deemed it in full compliance during a follow-up visit in February 2014, city spokeswoman Michelle Finley. While the fire paramedic service is not required to inspect rooming houses every year, it started making an effort to do so anyway in 2015, Finley said. There were 645 licensed rooming houses in Winnipeg as of June 15, she said. 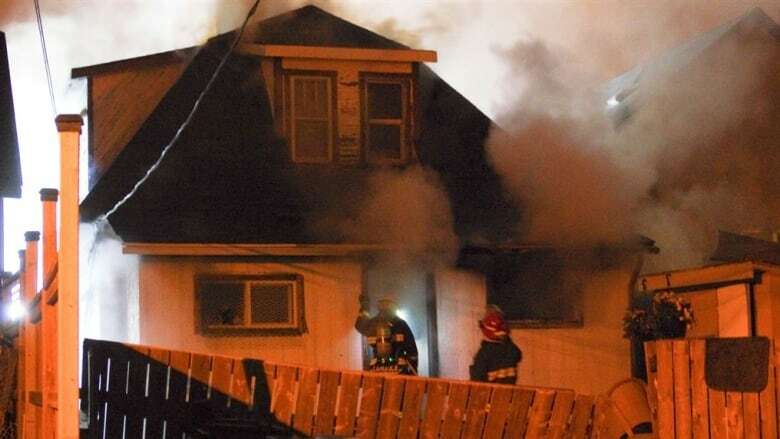 United Fire Fighters of Winnipeg president Alex Forrest said he's concerned city does not have the resources to determine whether fire-safety standards are being upheld in all of the licensed rooming houses, let alone what he estimated to be hundreds of unlicensed dwellings. Firefighters often roll up to fires expecting to enter a single-family home but then encounter a dwelling for multiple people, he said. "The number of these rooming houses and the deadly nature of the fires within these houses [is] really starting to be startling. We're getting a tremendous amount of deaths, a tremendous amount of injuries," Forrest told CBC Manitoba's Radio Noon. "The fire last night on Austin [Street] is a classic situation," he said. "It's a single-family dwelling and it's been turned into a rooming house, and there were upwards of 15 individuals that lived in this particular rooming house." Finley noted the dwelling in question was in fact licensed. She encouraged Winnipeggers to report any concerns about unsafe rooming houses by calling or emailing 311. "All addresses that are reported by the public as potentially being unsafe will be followed-up on and inspected," Finley said in a statement. Meanwhile, two city councillors have launched an effort to have Winnipeg rooming houses inspected for more than just fire-safety considerations. On Monday, Mynarski Coun. Ross Eadie and South Winnipeg-St. Norbert Coun. Janice Lukes will ask council's protection committee to approve a motion to have the city "undertake whatever it must do" to ensure building inspectors visit rooming houses once per year to make sure they comply with all aspects of the city's Neighbourhood Livability Bylaw. The councillors wrote their motion before this morning's fatal house fire in North Point Douglas. In the motion, they state while "many rooming houses [are] kept in livable condition by the owners," some do not meet the livability criteria laid out by the city bylaw. "Due to the lack of affordable housing options, many rooming house residents are afraid to make complaints about unlivable conditions in their rooming houses, because they do not want to get kicked out on to the street," they write. Eadie sits on the protection committee, along with councillors Mike Pagtakhan (Point Douglas), Jason Schreyer (Elmwood-East Kildonan) and Russ Wyatt (Transcona). Eadie said it's important all aspects of a rooming house are inspected along with fire safety. "When you're doing a fire inspection of a home, you need to also ensure the rest of the house is OK," he said in an interview. "If you're having people doing inspections every year, it gives the people living here the impression that there's great concern around this and that people are living together appropriately." Lukes, meanwhile, has been waging a campaign to root out illegal rooming houses near the University of Manitoba's Fort Garry campus, which is in her ward. "I do understand completely that people are hesitant to maybe make some neighbourhood-liveability complaints regarding some of the bylaws because they live in a place that's affordable. They don't want to get kicked out," she said. "It's a very challenging situation."